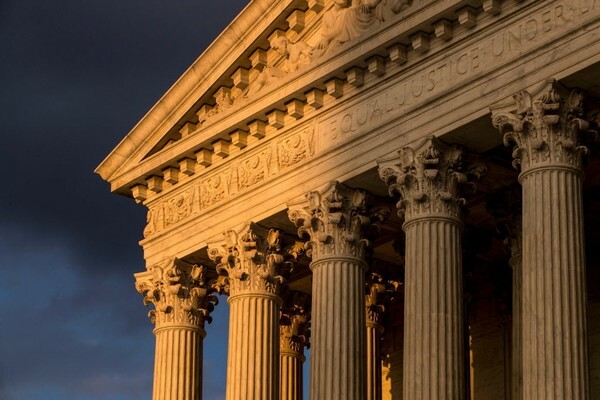 The U.S. Supreme Court threw negotiations over Louisiana’s state budget crisis into a tailspin Thursday (June 21) when it ruled states could force more companies to charge sales taxes on internet purchases. It gave hope to several Republican House members, who are reluctant to vote for a tax renewal, that they could adopt a lower sales tax rate than being discussed in the ongoing special session. In fact, the Supreme Court ruling likely won’t help with the budget crisis that is looming in Louisiana. 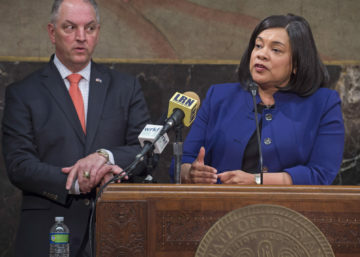 “I don’t know that we are getting money in the upcoming fiscal year,” said Kimberly Robinson, secretary of the Louisiana Department of Revenue, of the internet sales tax decision. “Everything is too blurry right now,” said Jim Richardson, an LSU economist who sits on the Revenue Estimating Conference, a four-person panel that has to approve the state’s revenue projections. The 5-4 ruling Thursday is a win for states. The Supreme Court ruling doesn’t necessarily allow any state to start collecting more internet sales taxes. The court has decided to send the case, which involves a South Dakota sales tax law, back to a lower court for another trial. It could be years before the ruling has any effect on state revenue. But some larger companies may voluntarily comply with the court’s current decision and start collecting online purchase sales tax without waiting for what will happen with the South Dakota decision, according to Robinson. Amazon has already done so, and that could bring extra money into Louisiana, but it would be hard to estimate when other online retailers would be willing to comply. The House will take tax votes Thursday. Even if the Supreme Court ruling could take effect immediately, Louisiana isn’t ready for it. States that want to collect more internet sales taxes must have a streamlined system and central collection point, according to the ruling. Louisiana has none of these things. “Louisiana is probably the farthest from being in compliance,” Drenkard said. 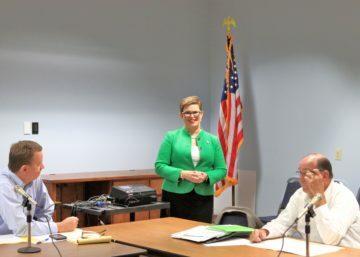 Rep. Julie Stokes, R-Kenner, has tried to get Louisiana to simplify its sales tax system, but her efforts have been stymied. She brought a bill last year to streamline sales tax collections, but it couldn’t get out of the Louisiana House. “The Louisiana Legislature has waited too long to do something, and now we can’t just turn on the spigot tomorrow. This is going to be a long-term policy argument,” Stokes said Thursday. A Louisiana law set up in anticipation of the the Supreme Court ruling does try to establish a workaround to this issue of sorts. The new statute, passed earlier this month, sets up a statewide commission to deal with internet sales tax that Robinson hopes might help meet some of the requirements for a more centralized and streamlined tax collection system in Louisiana. The state would be at risk for lawsuits if it went forward with internet sales tax collections based on the Supreme Court ruling because the state’s sales system doesn’t meet the criteria set up by the court. None of them would help the state avoid budget cuts. Putting those problems aside, state economist Greg Albrecht has been unable to estimate how much revenue a wider internet sales tax base might produce — and he’s been asked to do so several times in the past. The Legislature cannot include revenue in a budget plan unless the economist can produce an estimate. “Any particular estimate of the magnitude and timing of possible additional collections is speculative,” Albrecht said in a financial analysis of what the Supreme Court decision would mean for Louisiana earlier this month. Richardson also said he wouldn’t be comfortable approving any official state revenue projection over the next year that relied on estimates about internet sales tax collections. The economist is one of four members of Louisiana’s Revenue Estimating Conference, a panel which has to unanimously approve the state’s official forecast around which the budget is based.